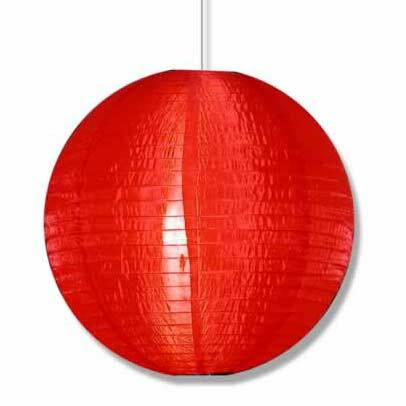 Red is good luck in Chinese culture, so these nylon lanterns bring good fortune to the party where they are displayed. Nylon lanterns have a cool sheen when lit that you just don't get with paper lanterns. Lantern ships flat with complete assembly instructions. Nylon stands up better than paper to outdoor conditions, but remember that our optional electric cord is not rated for outdoor use.